Beautiful coin purse made of quality Australian Cane Toad leather skin with all four legs. Has a cord to use as shoulder purse or hang it on your neck. 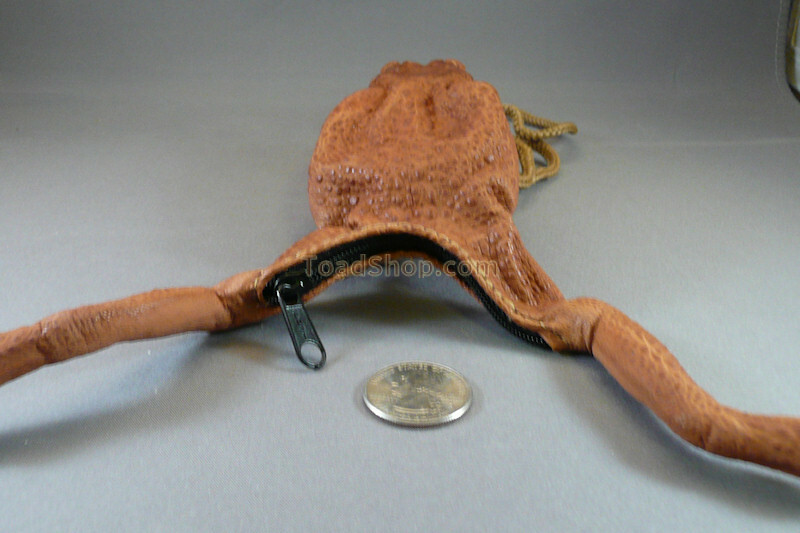 This coin purse will attract a lot of attention while it hangs from your shoulder or neck head down with all four legs showing. A rugged leather purse to hold your coins or other small items. Soft cane toad leather on the outside, and black-dyed pigskin on the inside to protect against wear from keys and coins. 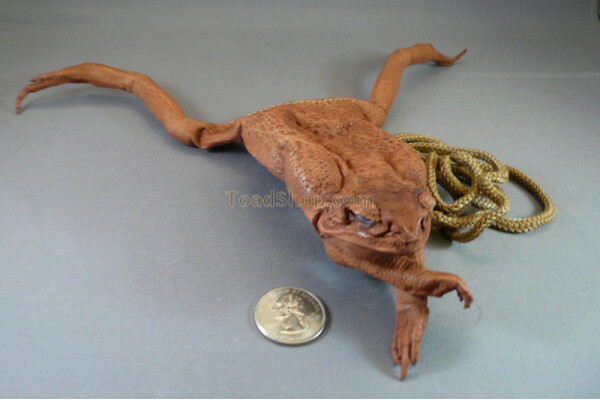 It has a zipper closure between the hind legs (on the top when hanging from the cord). We have heard there are many other uses for this toad purse besides coins: great place to store guitar picks for a musician, small hardware for the computer repair man, etc.